The badge design has been copyrighted and all rights are reserved. Please allow four (4) to five (5) weeks for delivery. The picture of the badge indicates where your personalized information will be placed on the badge. 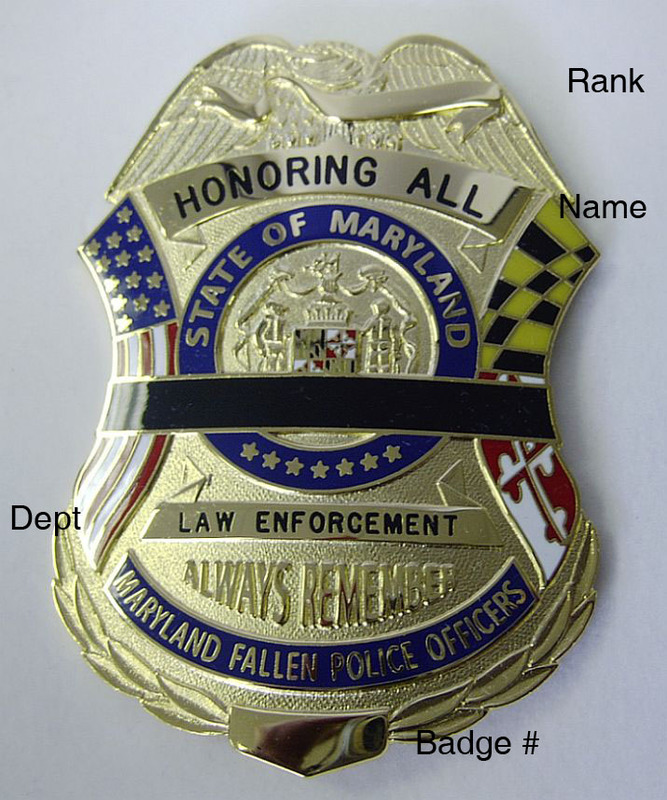 This is a commemorative badge intended ONLY to honor the memory of fallen police and correctional officers. The badge conveys no police authority. Any person who attempts to use the badge to impersonate a police or correctional officer would be in violation of law and, on conviction, would be subject to fine and/or imprisonment.